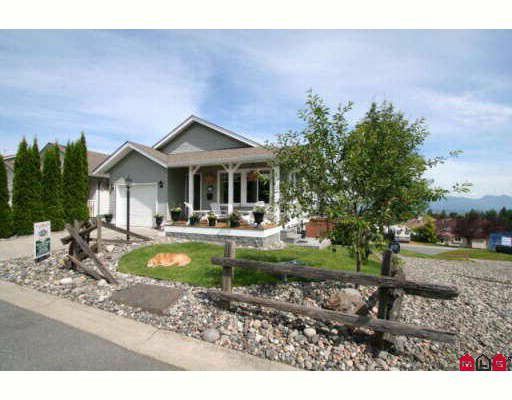 Over 2100 sq/ft total in the wonderful ranch style home with master bedroom on the main and 2 bedrooms and theatre room down. Brazilian oak hardwood and ceramic tile throughout the main floor, glass cabinet doors enhance the lovely kitchentwo sundecks off the back allow you the enjoyment of the fabulous valley views. Every square inch of the yard has been meticulously finished with 3 beautiful stone or stamped patios, to enjoy privacy while BBQ'ing or in the hot tub. Fully fenced yard. What a treat this home is. Central air conditioning, built in vacuum, dust pan mezanine in the garage and hardwired patio lighting. Ample visitor parking or mullins, with steps up the side to this home for convenience.